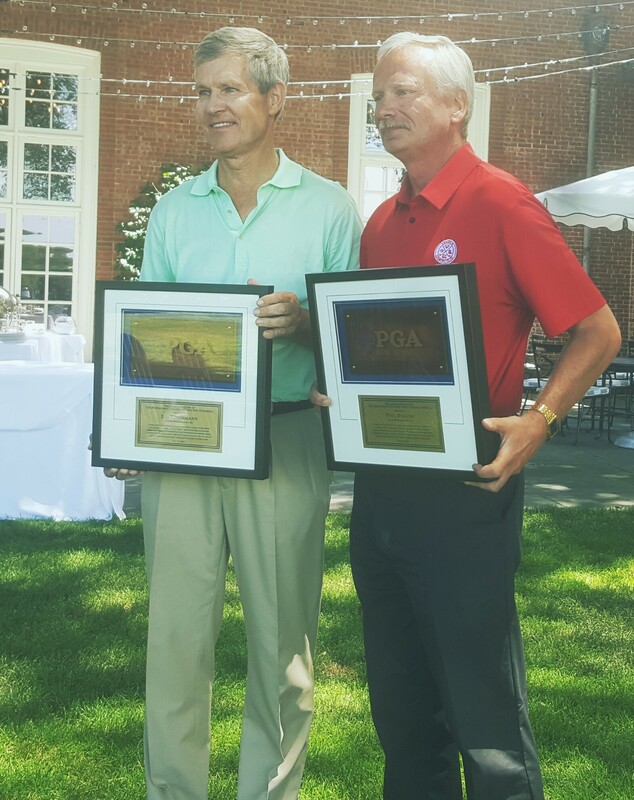 Lake Shore’s Bob Koschmann and Itasca’s Phil Benson were honored Monday at the 24th Illinois PGA Senior Masters Championship at Onwentsia Club in Lake Forest. 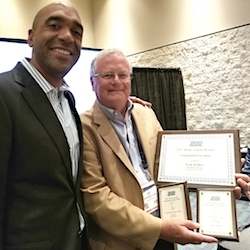 Bob Koschmann (left) and Phil Benson joined some select company at Onwentsia. Koschmann is wrapping up his 40th, and final, season at Lake Shore in Glenview. He learned of an opening at Lake Shore while working as a caddie for PGA Tour player Jim Jamieson. Koschmann was hired on the spot as an assistant pro and worked there two years before taking a similar post working under legendary club pro Bill Ogden at North Shore. With two more years of seasoning under Ogden, Koschmann was ready to begin his long stint as the head man at Lake Shore. He plans a move to Scottsdale, Ariz., after his retirement. Benson also found happiness after settling at one private club. 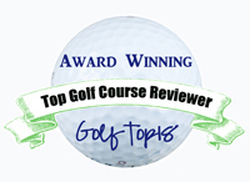 He entered the PGA of America’s then-new Professional Golf Management program at Ferris State after his high school graduation in 1975 and began his career at Itasca in 1979. 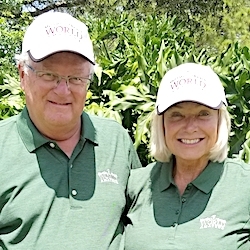 Koschmann and Benson became the 47th and 48th club professionals honored at the Senior Masters event, the last 13 stagings of which were at Onwentsia. 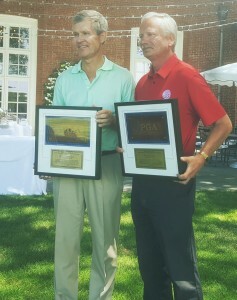 Their accomplishments were cited at a luncheon that preceded 18 holes of competition that included a pro-am. Tournament director Robert Duke gave the competitors pre-tournament instructions before sending them on to the course. 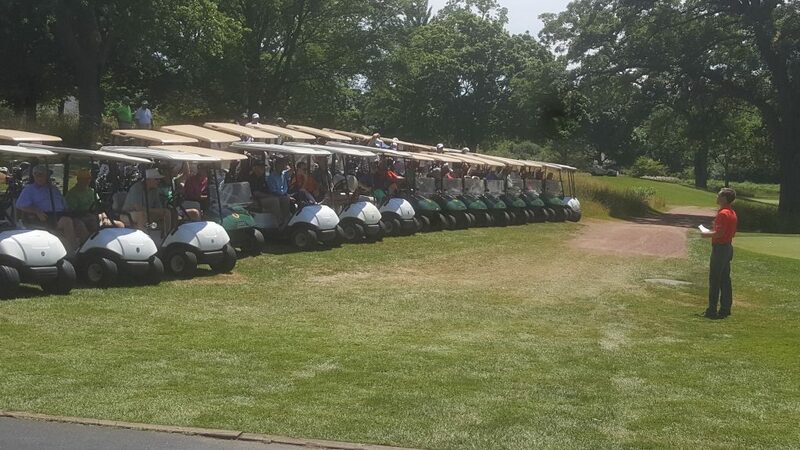 Illinois PGA pros and amateurs prepare for tournament director Robert Duke’s shotgun start.